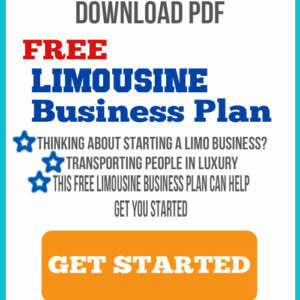 Look at a busy parking lot and you’ll see the wide variety of vehicle types you can convert into limousines. While all of them won’t make the best limos for your business, many of them are ideal for different types of passengers. Each type offers its own unique benefits. Vehicle types go beyond manufacturers and instead, consist of vehicle categories. For instance, when a potential customer calls, they may ask for a SUV limo versus a Hummer. They know they type, but aren’t as particular about the make and model. To get an idea of what’s possible, here are seven vehicle types you can convert to limousines. Full-size cars are the most common variety of limo. Naturally, other types of cars can also be converted, but full-size cars already have a larger frame, making them easier to stretch. Compact and sub-compact cars can be converted, but the result is usually a tiny limo without much legroom. Full-size cars are usually wider, providing more legroom and the larger frame means you’re able to fit more passengers after stretching to the maximum safe length. SUVs are the second most popular vehicle type for limos. As with the full-size cars, SUVs already have a large body style. The larger the SUV, the larger the resulting limo can be. SUVs are ideal for businesses wanting to cater to larger groups of passengers. While they don’t look as sleek as a car, they do look more powerful and intimidating. Hybrids are growing among the vehicle types you can convert into limousines. Many passengers are looking for Eco-friendly luxury. Hybrid cars and SUVs offer the perfect starting point to create a green limo. While they may cost more to begin with, you save on fuel costs and appeal to a different audience. Sedans are often used for airport transfers in lieu of a limo, but they’re also commonly used to create smaller limousines. Once again, these smaller limos are usually dedicated to airport transfers and don’t fit quite as many passengers as a standard limousine. Trucks aren’t among the top vehicle types you can convert, mainly because they don’t resemble the normal limousine body style. Still, if you want to offer something unique, a truck based limo could appeal to passengers looking to stand out. Dual and king-cab trucks work best for converting into limos. The number of passengers varies based on whether the truck bed is kept or converted into seating. Some truck-based limos use the closed truck bed for DJs or a dance area. Crossovers are already a blend of a car and SUV. It serves to reason that they’d make the perfect blended limousine as well. You probably won’t see as many crossovers being converted as full-size cars and SUVs, but that doesn’t mean they’re not worth considering. They usually offer better fuel efficiency than SUVs while still allowing you to fit a few more passengers than a car. If you don’t need a full SUV limo, a crossover may be your best option. Vans aren’t exactly the classiest among vehicle types you can convert, but they are spacious. Most business opt for SUVs because the body style is sleeker and fits into the elegance that passengers expect from limos. Vans and even small buses are usually reserved party style limousines and buses. They can also be used for large airport transfers, such as multiple families or a larger business group that wouldn’t fit inside a standard limousine. With the right customization’s, vans can look luxurious, both inside and out instead of looking like a larger soccer mom van. As you can see, the vehicle types you can convert aren’t exactly limited. The choice you make depends mainly on the types of passengers you want to attract. If you want to stand out from the competition, choosing vehicle types and makes and models that aren’t often used, could work to your advantage. No matter what type you choose to convert, we’re help you make your choice into a limo your passengers will love.